Parkdale comes as close to anyone's definition of eclectic and historical as it can get, just steps from Toronto's vibrant Liberty Village.This primarily residential area is a vibrant and diverse community, and its popularity as a trendy neighbourhood is growing. 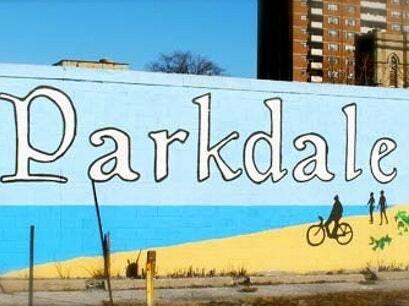 If you're looking for a signature small-town feel within a bustling metropolis, Parkdale's got it. The area showcases a motley crew of artists, funky cafes, ethnic restaurants, quaint B&Bs, vintage galleries, farmer's markets and one-of-a-kind shops. It is also a community that comes together to support local revitalization projects such as the Urban Garden Development Project, and the Westend Food Coop connecting local farmers and suppliers to local eaters. The area's youth attend schools including Parkdale Junior and Senior Public School, and the historical Parkdale Collegiate Institute. The Toronto Public Library and the Parkdale Intercultural Institute are other popular youth hangouts. Little parkettes, Sorauren Park and the West Lodge skate park are other amenities for area kids. This is a bike, foot, and transit-friendly neighbourhood with TTC streetcar stops every few hundred metres, taking passengers right to the subway. The Gardiner Expressway and Lakeshore Blvd. are very easily accessed from here. There is a neighbourhood GO station, plus Billy Bishop Airport is fairly close by. The streets are characterized with mature trees, red brick mansions, art deco apartments, and funky hot spots.